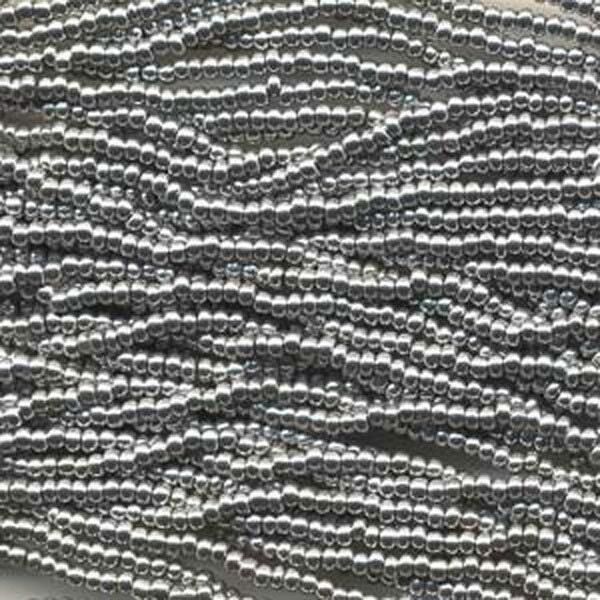 Bright silver Czech glass seed beads in mini hanks, size 11/0, pre-strung. Hank consists of six 20-inch loops, tied together! Great price! 18 grams. Awesome customer service, quick shipping, and just what I need! that is why I keep coming back! I have been able to use these in many projects. Still have some left too. Love these, perfect touch of muted silver when sparkly is too much , Thank you!